Coaches create an account on Coach Centre if they do not already have an existing account. Applications will only be accepted via E2E Coach Centre. Coach Centre will send an automated email to the coach stating that the application has been submitted. 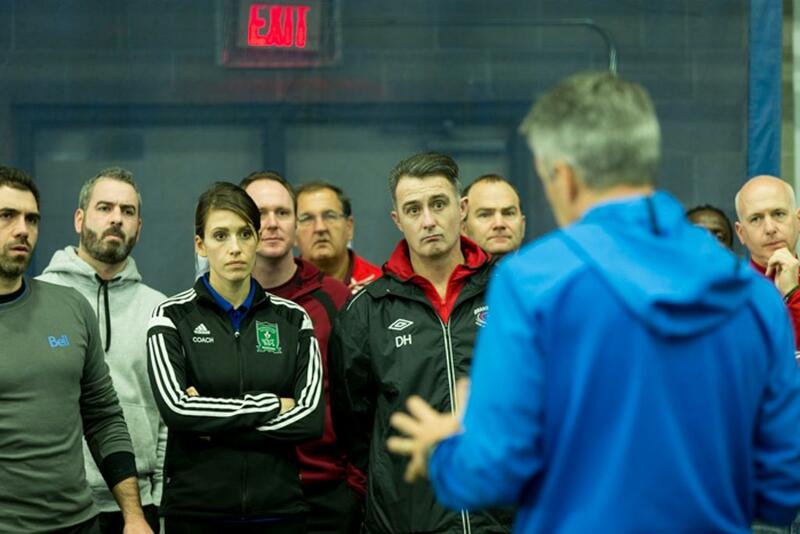 Ontario Soccer will review the application to ensure that the coach meets the course requirements. Once the coach is accepted, they will be sent an automated email from CoachCentre stating that they have been accepted. In order to complete registration the coach must then select which course they wish to attend. Coaches are required to make a payment for the course and also complete the Laws of the Game exam which is located on their CoachCentre profile. Please note if a payment is not made within 24 hrs, the system will remove the candidate from the class list and the candidate would then run the risk of losing their spot on the course. Coaches will be mailed their Technical Director Diploma Certificate if they have successfully completed their post course assessments and 100% attendance on the course.